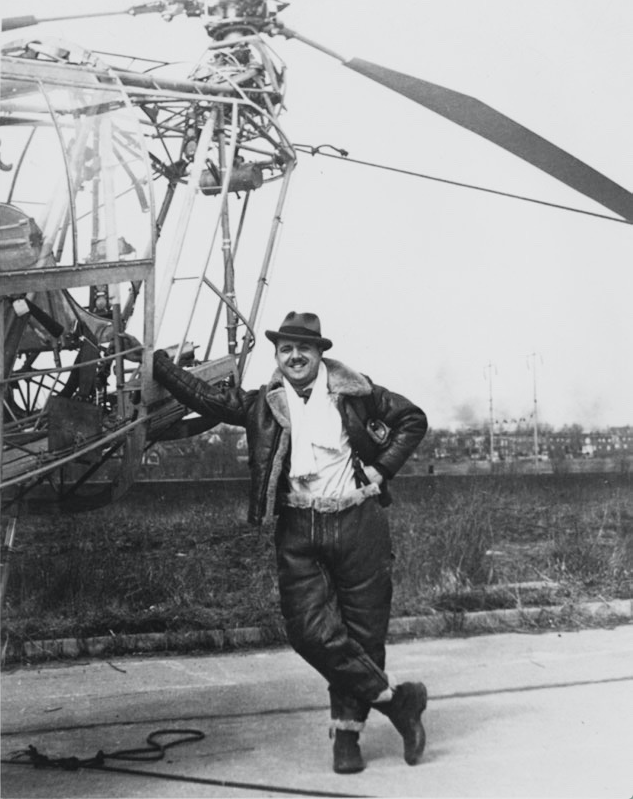 7 March 1945: At Morton Grove, Pennsylvania, Frank Nicholas Piasecki, founder (along with Harold Venzie) of the P–V Engineering Forum, made the first flight of the PV-3, a prototype for the first successful tandem rotor helicopter. The United States Navy designated the new helicopter XHRP-X. 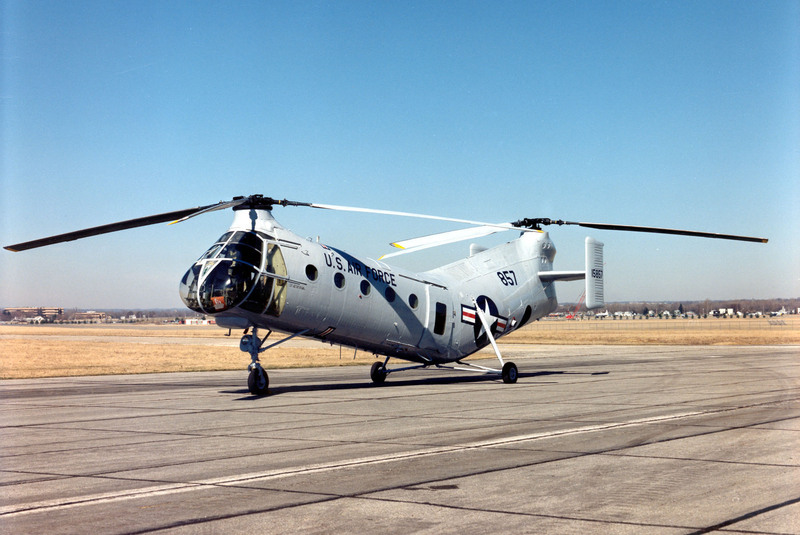 Two additional prototypes, designated XHRP-1, Bu. Nos. 37968 and 37969, were ordered. 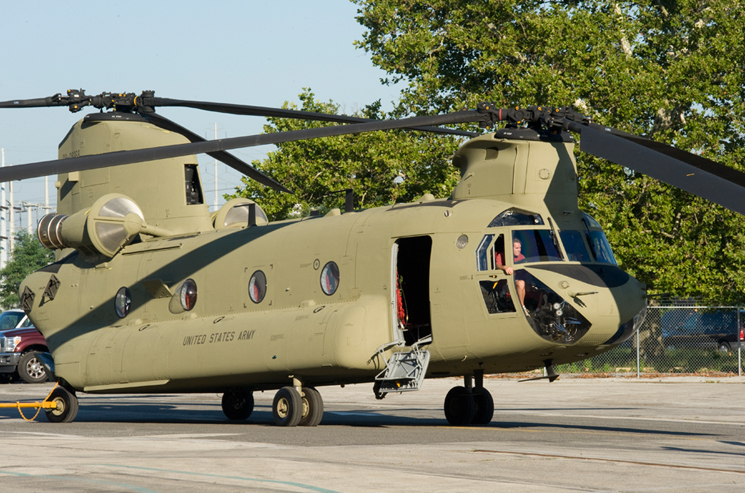 The original aircraft, a proof-of-concept aircraft, made its final flight in May. Frank Piasecki was the first pilot to be licensed by the C.A.A. as a helicopter pilot. The PV-3 was designed to be flown by two pilots and be capable of carrying 10 passengers. The fuselage was 47 feet, 2 inches (14.376 meters) long. 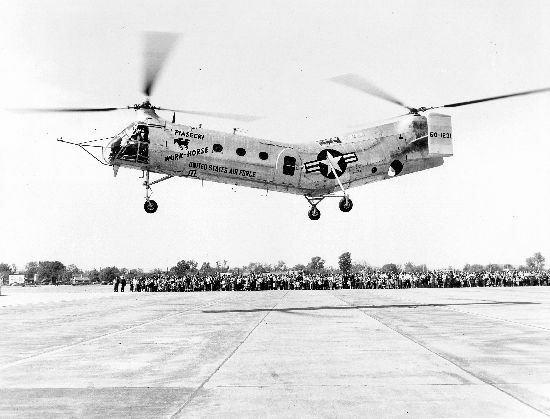 Each of the three-bladed rotors were 41 feet (12.497 meters) in diameter. The overall height was 13 feet, 11 inches (4.242 meters). 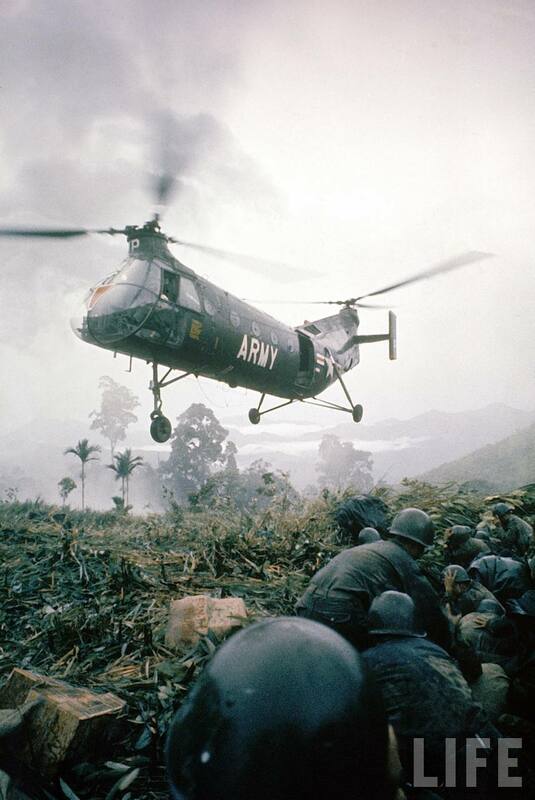 The helicopter had an empty weight of 4,279 pounds (1,941 kilograms), and gross weight of 6,420 pounds (2,912 kilograms). 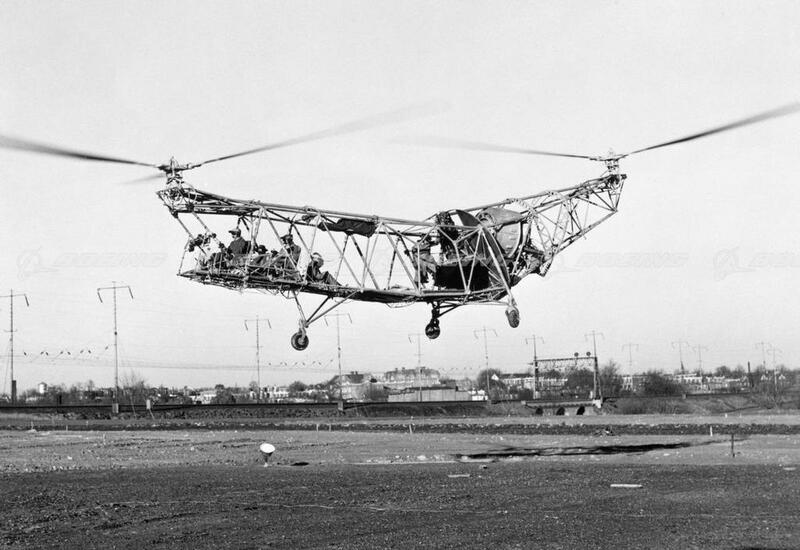 The helicopter had fixed tricycle landing gear with castering wheels. The PV-3 was powered by an air-cooled, supercharged, 971.930-cubic-inch displacement (15.927 liter) Continental-built Wright Whirlwind (R-975), a nine-cylinder radial engine rated at 450 horsepower, mounted in the rear fuselage. 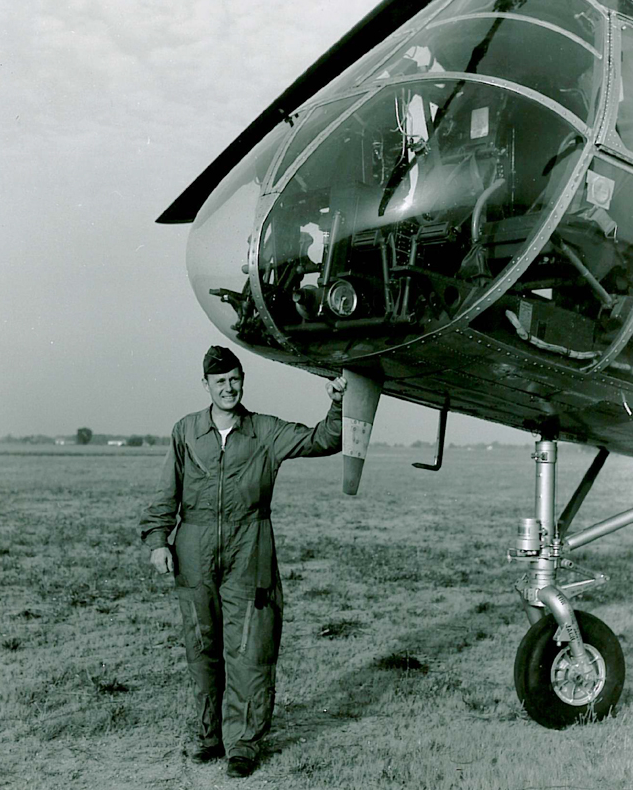 A transmission transferred power from the engine to two driveshafts running along the top of the fuselage, to remote gearboxes, which in turn, drove the two main rotors. The rotors turned in opposite directions with each canceling the torque effect of the other. 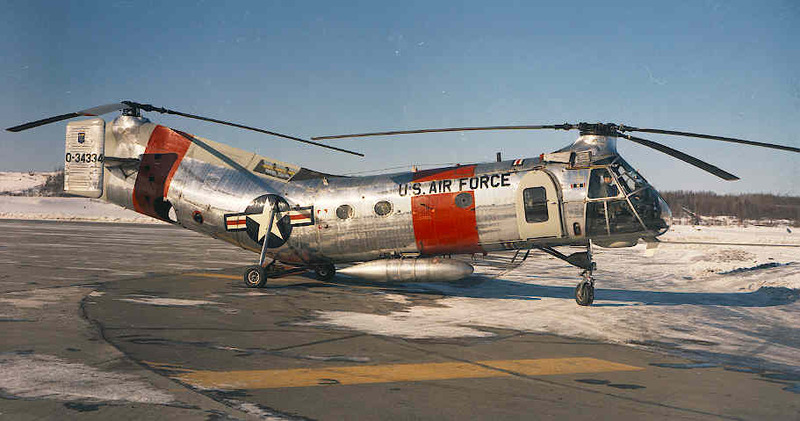 No tail (anti-torque) rotor was required, as in single-rotor helicopters. Without a tail rotor, which can absorb as much as 30% of the engines’ power, all the power can be put directly into lift and thrust, making the aircraft much more efficient. The helicopter had a cruise speed of 100 miles per hour (161 kilometers per hour) and maximum speed of 110 miles per hour (177 kilometers per hour). Its range was 300 miles (483 kilometers). The XHRP-1 was ordered into production as the HRP-1 and HRP 2. 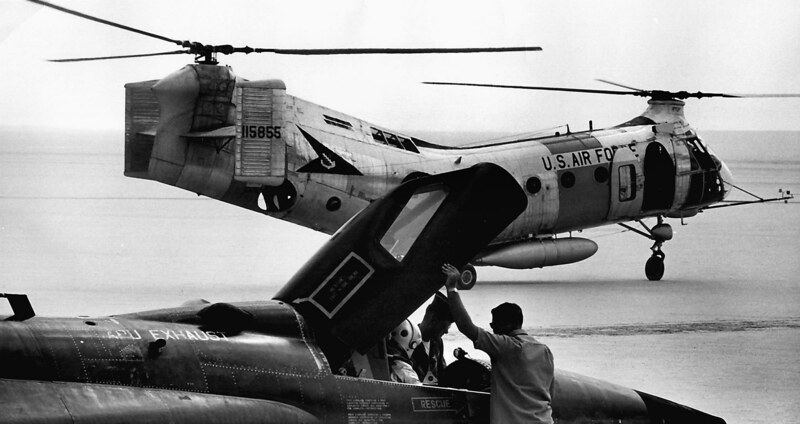 They were operated by the U.S. Marine Corps and U.S. Coast Guard. 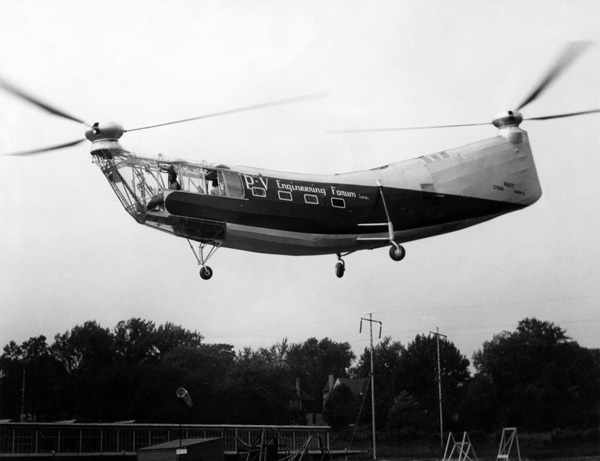 Including the prototypes, 28 of the helicopters were built. 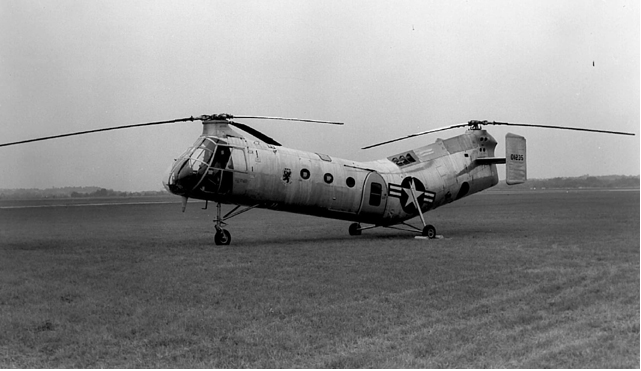 The “Flying Banana” concept was later seen in the Piasecki H-21 Work-Horse, which first flew in 1952. 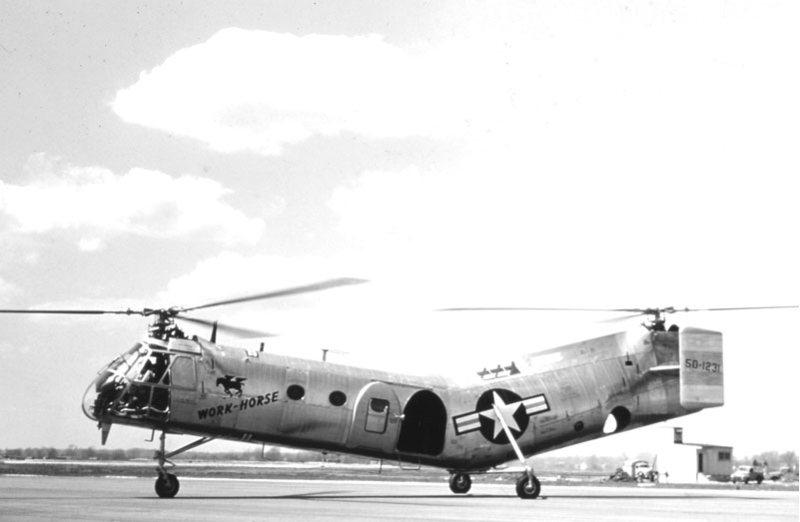 The Boeing CH-47F Chinook, which is currently in production, is a direct descendant of Frank Piasecki’s PV-3.